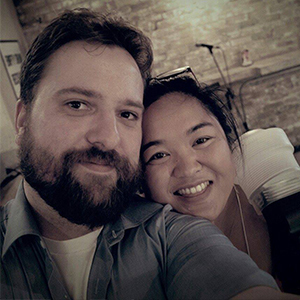 S: This week, we dived into some deep fried wontons. For me personally, making the wontons took me back to the days when I’d be living with the parents. My mother and I used to make dumplings of all sorts on a Sunday morning. It was very therapeutic [D: If you don’t get all the air out it tends to uhh expand.. and shoot searing hot streams of cheese into the oil… it’s an adventure]. I do admit that it is tricky [D: yeah it is], as you have to make sure you have the right ratio of filling to wonton. When there’s too little, there’s not much flavour/anything to eat. Too much filling; you’re hoping that when you drop it into the oil, you’ve still got some filling left in the wonton pouch. 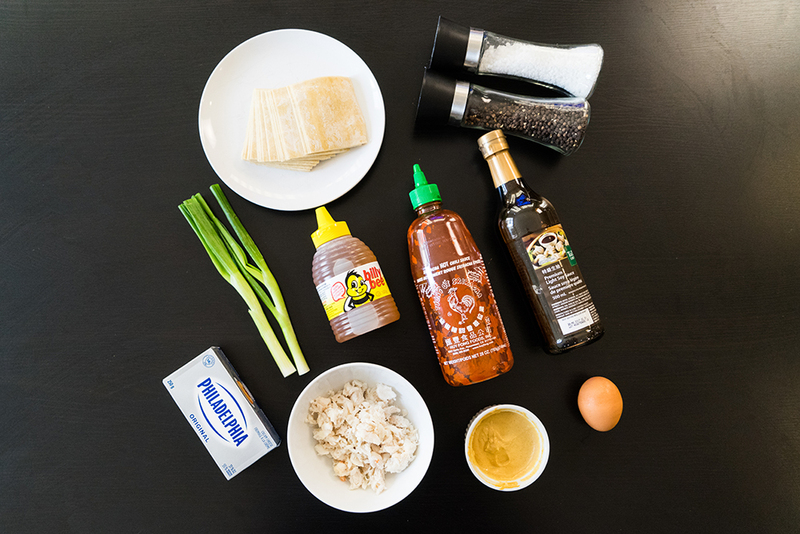 In a small bowl, combine the mustard [D: we made hot mustard with keen’s, a little vinegar, and white pepper], honey, and soy sauce. 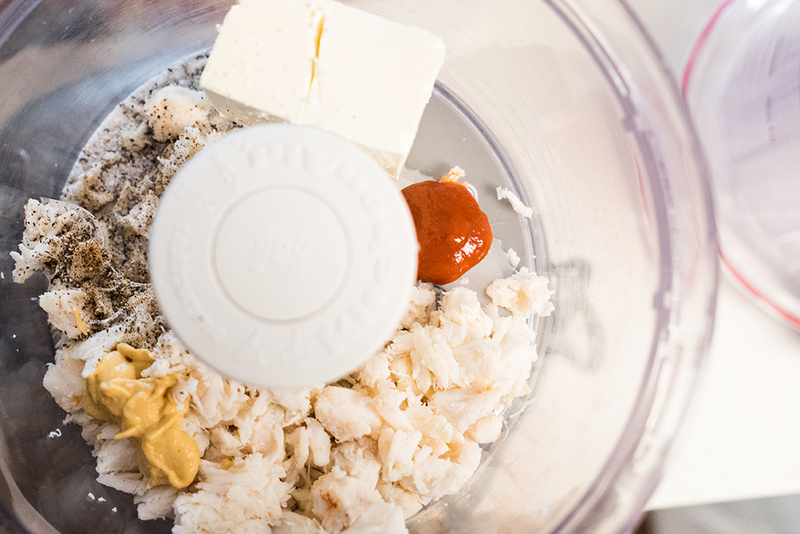 In a food processor, combine the crab meat, cream cheese, salt, black pepper, Sriracha and hot mustard until smooth. Fold in the scallions. Lay the wonton skins (a few at a time), pointed toward you (diamond shaped). Spoon 1 tsp of the filling onto the skin then brush the edges of the skin with egg. Fold the top point down and over the filling to meet the bottom point and press down, squeezing the air out. Dab one of the points with more egg, pull it toward the opposite end, and press together. 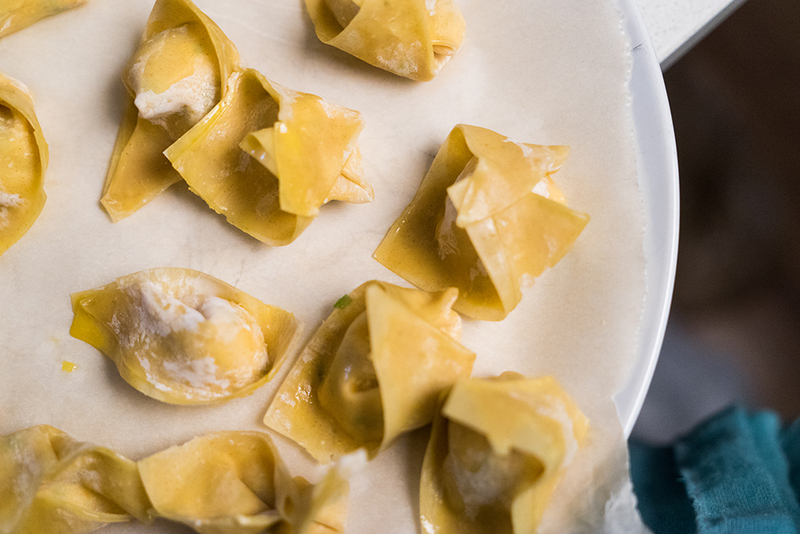 Repeat until filling or wontons are exhausted. In a medium saucepan that is at least 6in deep, heat 4in of vegetable oil over medium-high heat until it reaches 350F on a fry thermometer. 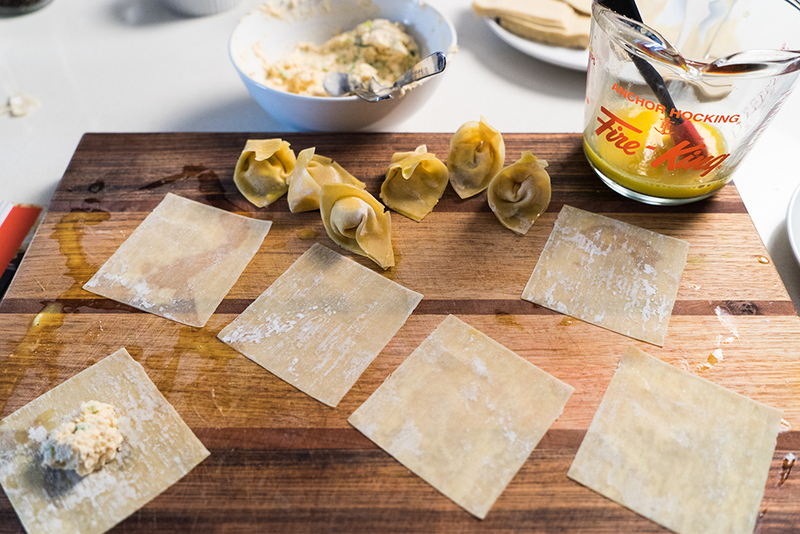 Using a slotted spoon, carefully lower a few wontons at a time into the oil [D: or throw them in, whatever you want, I’m not your dad. I drop them in by hand, I don’t value my skin]. Fry until puffy and brown (about 2 minutes). Remove and lay on paper towel while you cook the rest. Final Verdict: S: They were delightful little pouches of goodness, but alas we had the ratio problem and some had little to no filling [D: mostly due to becoming little wonton HEAT rounds, firing streams of cheese], and therefore was not a pouch of goodness. Also, I’m not sure the hot honey mustard will be preferred by most people [D: at least when made from something as hot as Keen’s]. 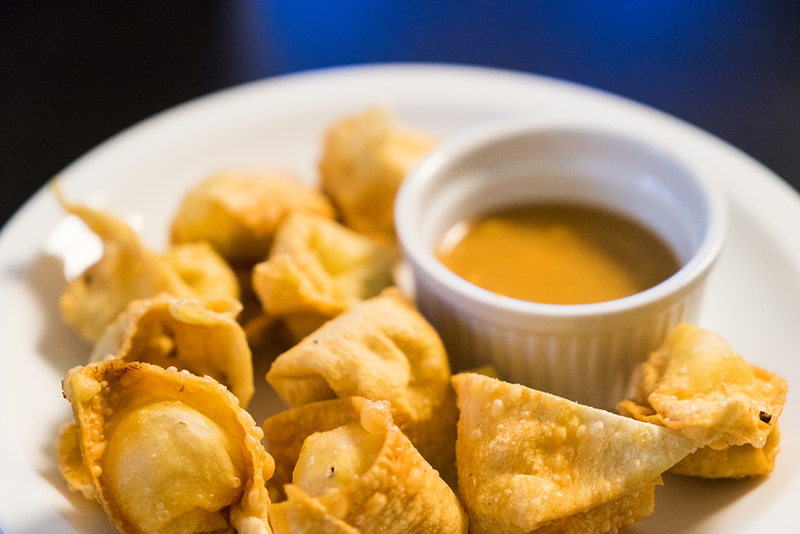 I think that just a simple Thai chili hot sauce, would do for this wonton. Nonetheless, it’s delicious and I would consider making it again, keeping in mind the ratio for pouch goodness.